Americans love to spoil their cats and dogs. Expensive gourmet food, custom made (and matching) outfits, spa treatments, exotic toys and specialized "homes". Dogs get doghouses, but cats get cat condos and those condos can get pretty elaborate. A few decades ago a spoiled cat got a fluffy pillow with their name on it but now some people have turned their own home into a cat condo, with a series of tunnels running from room to room. 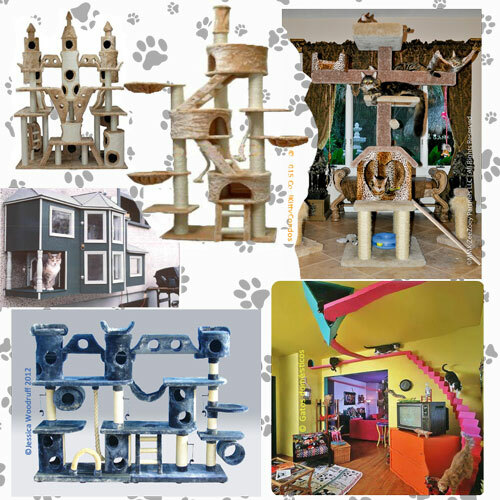 If you spent a few thousand dollars turning your own condo into a cat condo would you be covered for the improvement if disaster struck? ACE Platinum Portfolio under the Affluent Program - New Business also covers condominiums and co-ops. You can select a limit of insurance for the improvements you or a prior owner may have made, such as custom kitchen cabinets, built-in bookcases, custom floor coverings, upgraded bathroom fixtures, security and home theater systems, etc. ACE provides a complementary inspection of your unit to help ensure your A&A limit is adequate; our policy includes Full Replacement Cost once your residence is insured to the appraised value, covering losses even if they exceed the stated A&A policy limit. You are even entitled to a cash settlement option should you choose to not rebuild at your current location. Condo association policies do not cover personal property within your unit (furniture, clothing, items in storage, etc.). The ACE Platinum Portfolio settles such property losses without deductions for depreciation. The policy covers additional living expenses incurred after a covered loss; providing peace of mind while you seek temporary housing, without compromising your standard of living. 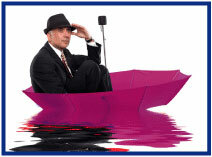 Water damage is one of the most frequent and costly types of loss. These losses can also create significant mold losses. ACE automatically includes $10,000 of mold coverage, with higher limits available, for replacing property damaged by mold as a result of a covered loss. Coverage may also be used to conduct air quality tests on the home after a mold loss. 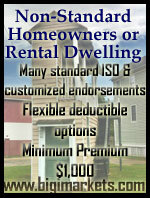 ACE offers an optional flood endorsement to protect your residence and property from flood damage. $100,000 in coverage is available for your share of a loss assessment; $10,000 is provided for assessments made by the corporation or association of property owners resulting from an insurance deductible. In the event of damages caused by you to another person's property, up to $10,000 in voluntary payments coverage is available to help deter potential litigation as a result of your action(s). 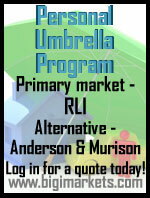 Climb into the Affluent Program - New Business at Big "I" Markets. Big "I" partner Agility has prepared and shared two valuable resources: Comprehensive Flood and Hurricane checklists. Feel free to print these and use to monitor your own agency's flood and hurricane preparedness, or share them with clients as a planning tool. Agility Recovery, a former division of General Electric, is a leading provider of disaster recovery solutions to organizations of all types. Agility provides robust and easy-to-implement recovery solutions for an affordable monthly membership fee, providing access to temporary power, office space, communications equipment and computer systems. For more than 25 years, Agility has rescued thousands of organizations with a 100% success rate. For more information, please visit: www.agilityrecovery.com or call 877-364-9494. A real estate management and investment company is experiencing significant growth. The real estate company hurriedly contracted with a temporary staffing firm to provide a temporary bookkeeper to help their accounting department manage the growth and to fill the void left by an unexpected key employee's resignation. The engagement for the temporary bookkeeper was scheduled to last six months and at the end of the contract a new permanent hire in the accounting department discovered several discrepancies in the books. The bookkeeper failed to pay the mortgages on several of the company's properties, as well as the property taxes, resulting in a significant financial loss to resolve the back payments and penalties. The real estate business sued the staffing firm for the amount of the loss, alleging negligence in providing a qualified and screened temporary bookkeeper. During the lawsuit and the subsequent investigation it was discovered that the temporary bookkeeper had a documented history of poor performance during previous jobs as a bookkeeper and because of the rush to fill the position for their demanding client the staffing firm did not fully document the temporary bookkeeper's job history. The real estate company succeeded in showing that had the temporary staffing firm followed their standard procedures conducted thorough background checks on this temporary employee, it would have discovered the poor work histories. Can you afford to not secure professional liability for professional errors and omissions? You can serve all these professionals and a lot more by accessing Philadelphia Insurance's Miscellaneous Professional Liability policy through Big "I" Markets. "Cover-Pro" provides errors and omissions coverage to a great variety of professionals, via endorsement to a basic claims-made, pay-on-behalf policy. The underwriting staff tailors each policy to address the exposures unique to each class of business. The liability limits available range from $100,000 limit up to $15,000,000. 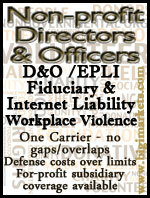 Learn more about the Miscellaneous Professional Liability at www.bigimarkets.com. Some agents have placed information or specifically requested wording on certificates of insurance, compliance checklists, or agent affidavits that include knowingly incorrect information. Sometimes it is well meaning and trying to save a customer from losing a job or a paycheck for completed work. Sadly, in some cases there are likely agents who do it when more law-abiding and ethical agents won't so that they can keep or get the business. This Big "I" Virtual University webinar continues the Certificate of Insurance conversation and covers where the problems most often begin; additional insureds; contractual insurance requirements…what can or can't you do; other issues and more with q&a time. Also planned is the October webinar on CGL Contractual Liability Issues in the Construction Industry. VU webinar questions can be sent to bestpractices@iiaba.net. 1. Why are almost all school buses painted "National School Bus Glossy Yellow"? 2. Cats are far-sighted. 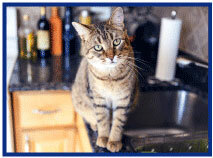 What part of their body enables them to "see" objects extremely close up and even allows blind cats to navigate? 3. Tropical storm names are maintained and updated through a strict procedure governed by which organization? Irving Feld established what "distinguished" college on this date (September 1) in 1968? 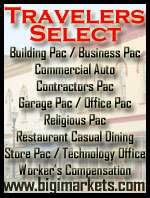 Congrats to our agent in South Carolina on a restaurant sale of $4,648 in premium! Last week, the image for the Paul's "Parting Shot" article was incorrect. It was from the article the week before. The updated article and corresponding chart are correct on the online version found here.